The mission of the IHPBA Foundation is to support advancement in the care of patients with hepato-pancreato-biliary diseases globally through education, training, research and outreach. 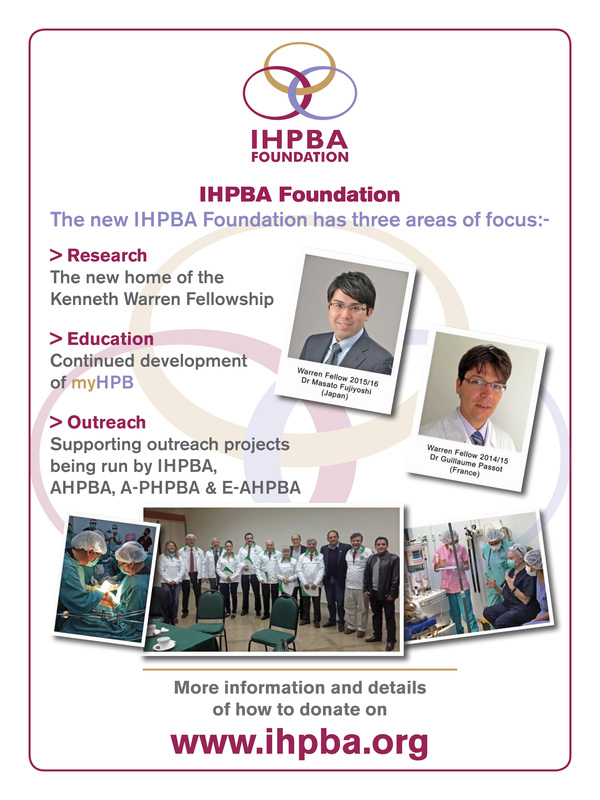 The IHPBA Foundation co-ordinates IHPBA's charitable work in three areas: education, research and outreach. This includes international education, our e-learning website myHPB and telementoring. The new home for the IHPBA Kenneth Warren Fellowship. We are delighted to be collaborating with the World Health Organization on a series of global outreach projects to assist in the care of patients with HPB diseases in developing countries by fostering, mentoring and supporting local surgeons and institutions. You can find further information about this important aspect of our charitable work here.